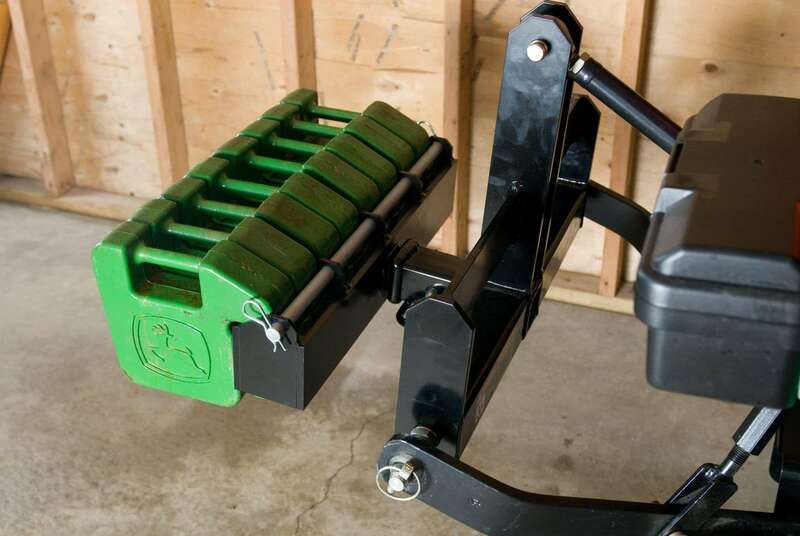 The 8 Suitcase Weight Bracket allows you to add more ballast to your tractor without using a Heavy Hitch. 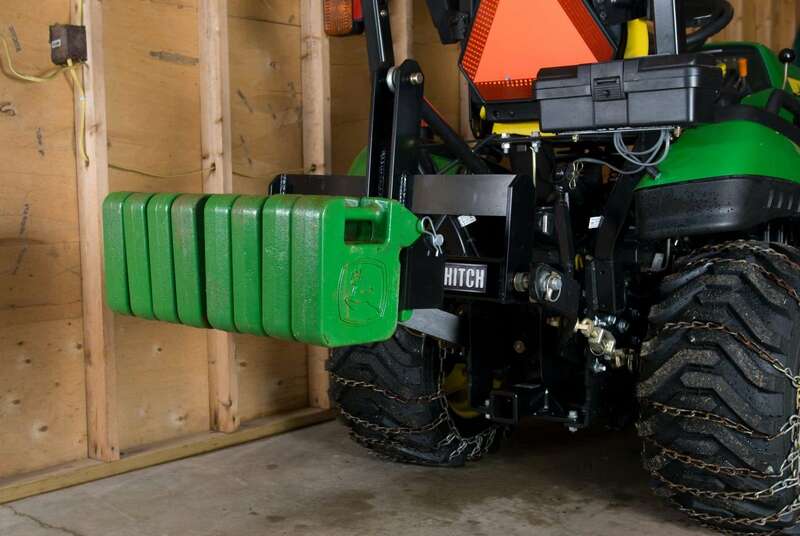 Works with any 2 inch receiver hitch in the front or rear. Accepts up to eight 42 pound or 70 pound suitcase weights. 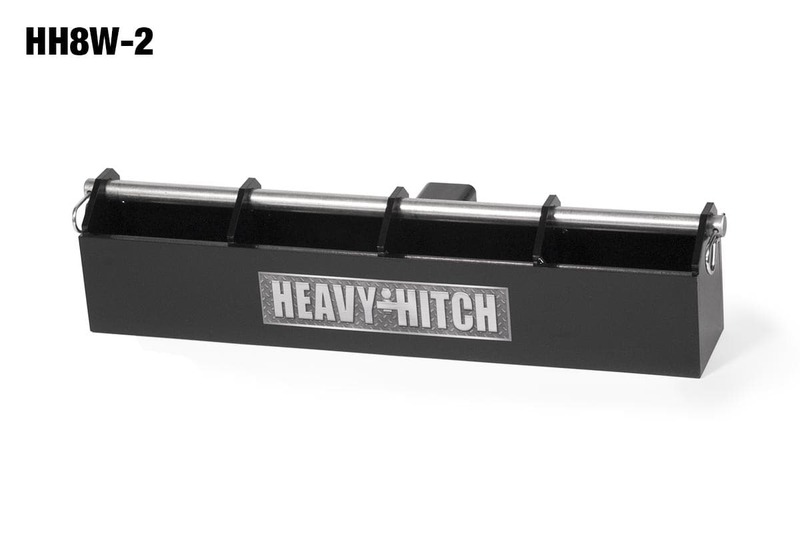 Comes standard with a super durable Black environmentally friendly powdercoat. Hold down bar is coated in cadmium.